As a long time Mac user (some 25+ years now) it is sometimes easy to forget just what a charmed existence we have. 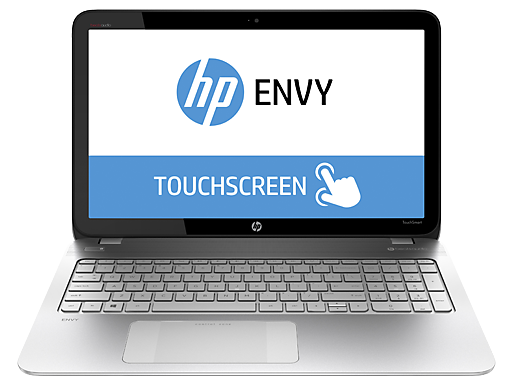 Recently we purchased a new machine for the household, a wintel laptop made by Hewlett Packard who for marketing reasons I am sure, chose to name the device an “Envy”. On paper this thing is great, it’s an Intel i7 machine, has 8GB RAM and a 1TB hard drive, the screen is 15″ (nearer 16″ actually – more on this in a mo) and it has a neat trick where the screen folds back and the machine turns into a touch device. It’s the machine’s party trick which prompted it’s new name of Flipper. So all this sounds great – a nice new shiny machine to play with. Well as ever the devil is in the details and it’s only when you live with a device that you find out what it’s really like. It’s a Windows machine, and I am a Mac man, but you know these days I probably spend almost as much time dealing with Windows 7 as I do Mac so I am getting pretty platform agnostic in my old age. For a lot of things I actually prefer 7 – Network shares, USB drives, Copying files – all better – let down on the Mac by the Finder still being as dumb as a bag of nails. Trackpad – Our version of the Envy has an extra wide trackpad that has two zones or wings – one either side of the control surface which are used to invoke the side panes in Windows 8. They are like the flappy bits either side of a sanitary towel. Trackpad delay – while we are on the subject of the touchy thing, even if you do touch it in the right place (platonically only of course) there is a delay in response – it’s not the PC/Windows; a normal mouse and the touchscreen work just fine – it’s the fracking pad again. Screen Resolution – So this is a machine designed to be used for multimedia, the screen is ‘wide’, there’s HDMI on the thing – no DVD drive but who the hell uses DVDs these days anyway right. Here’s the rub – the screen resolution is 1366×788 pixels – WTF is that? Objects on the screen look HUGE, I can barely fit a web page on there. 1366×768 is 16:9 (ish) not x788 so there’s going to be bars what ever and although it is optically not a bad screen (it’s a shiny) it is just annoying. WiFi – This is not an old machine, is newer than the MacBook Pro I am now writing this post on, despite this the machine would not connect to my WiFi and why is this? I’ll tell you – because it can’t talk to 5Ghz networking – it does bgn but no a. My venerable Mac Book Pro was an expensive machine when I bought it – about 4x the cost of the Envy but that machine was bleeding edge at the time and there’s a premium one pays for new stuff, but the features I am moaning about are now common place and cheap, screens with 1920×1080 are the norm, 5Ghz adapters can be bought for £10 and that trackpad is just poor. Apple wouldn’t have put this machine on the Market, they would have bounced that trackpad on testing, the screen resolution wouldn’t have been an option and 5Ghz wifi has been in their machines for years. P.S. I started writing this post on Flipper, but the post disappeared mysteriously mid write (That trackpad playing tricks) so I returned to old faithful.